What's that old adage, the female species is deadlier than the male. 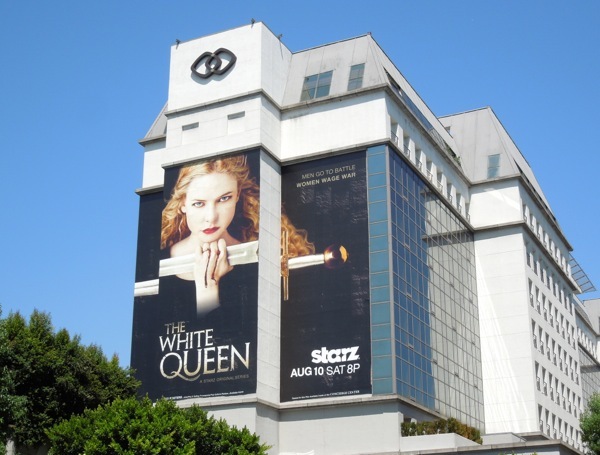 This super-sized billboard for Starz new original series, The White Queen, certainly implies this is one royal highness who isn't afraid to bloody her hands to get the job done. 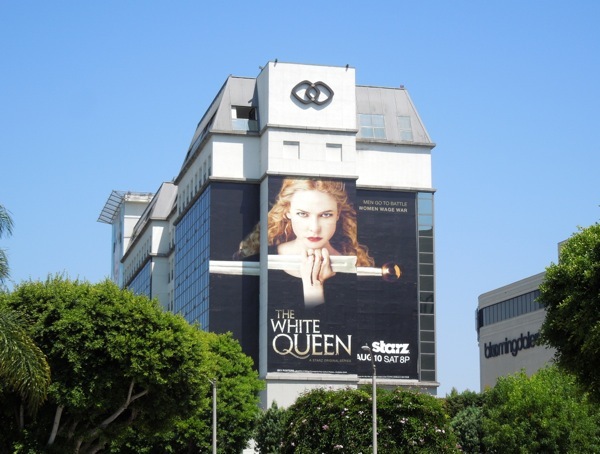 This giant creative proclaims 'Men go to battle, women wage war' and this imposing visual featuring Rebecca Ferguson as 'Elizabeth Woodville' with sword in hand and piercing, resolute eyes, is a convincing testament to that statement. 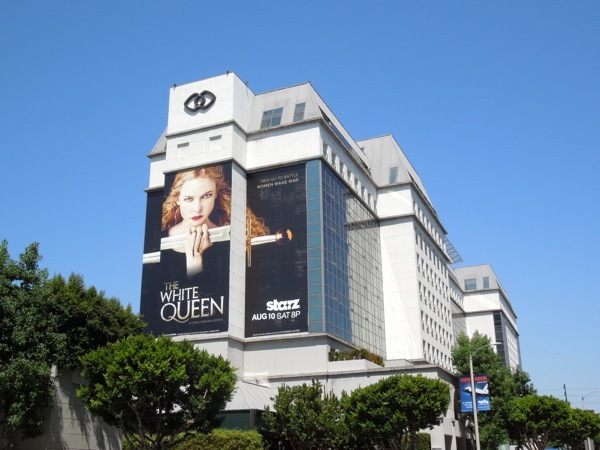 In 1464 before the Tudors ruled the country, a widowed commoner marries 'King Edward IV' and becomes the 'Queen of England' and finds she must fiercely fight to protect her family and her throne from her enemies and the politics of the time. 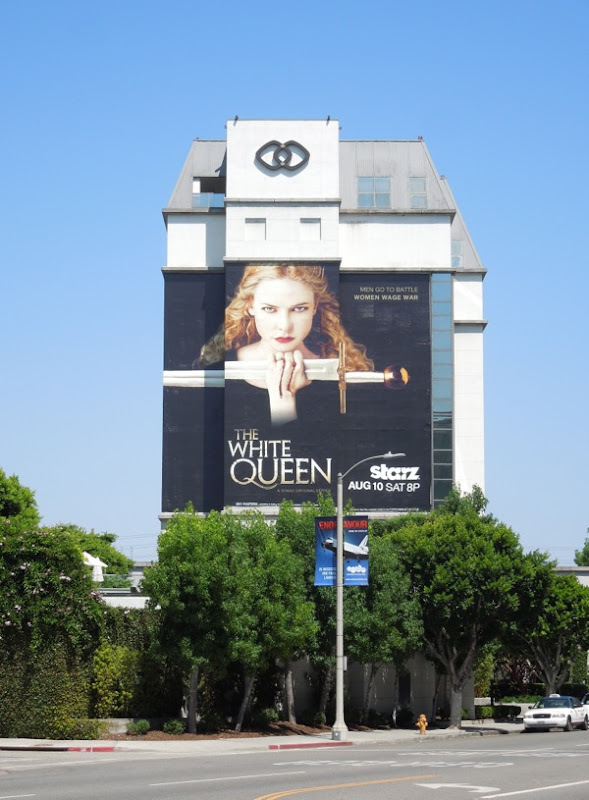 This series premiere billboard for The White Queen is powerful and eye-catching imagery and was spied reigning over the skyline along Beverly Boulevard on the side of the Sofitel Hotel on July 27, 2013. 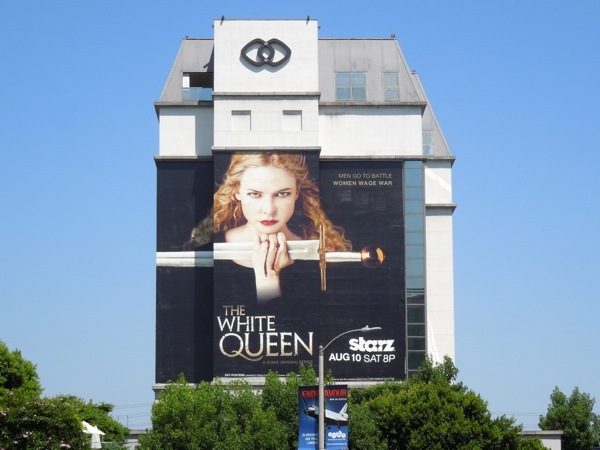 If you like this evocative TV series ad, be sure to also take a gander at these similarly historically-themed billboards for The Tudors. 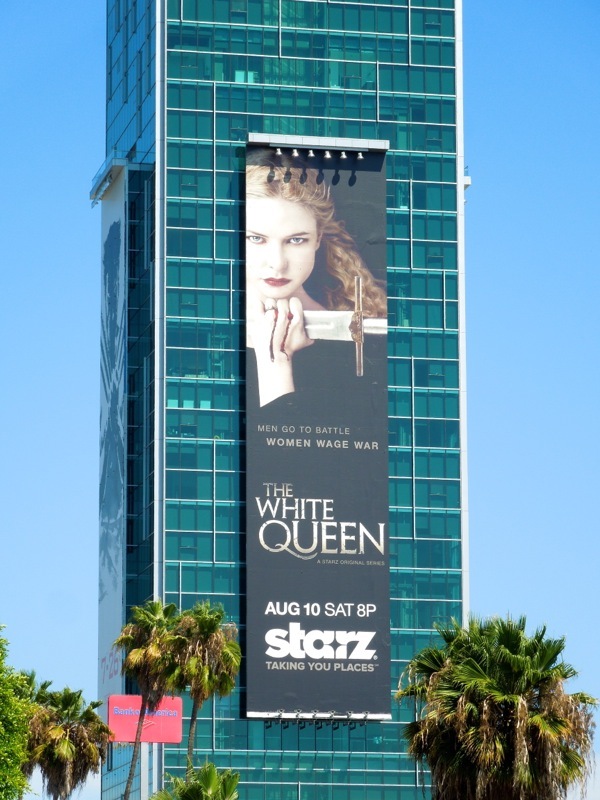 UPDATED: The White Queen, which is based on Philippa Gregory's bestselling historical literary series The Cousins' War, has already been broadcast on BBC One in the U.K., but here's another high-profile billboard for the 10-part drama series airing on Starz in the U.S. 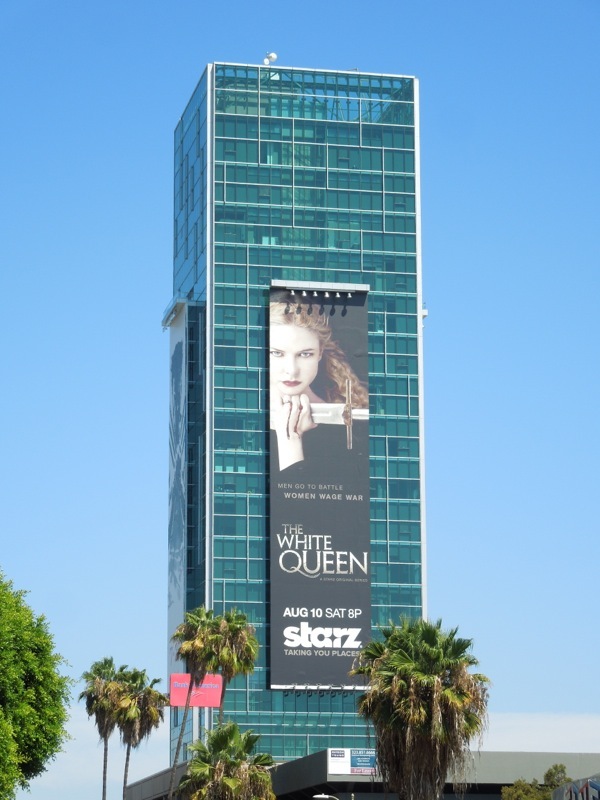 This tall vertical billboard for the historical series was spied towering over Sunset & Vine in Hollywood on August 8, 2013.